Sift the flour, sugar, bicarbonate of soda, cinnamon, and salt together. Beat together the oil, eggs and vanilla essence. Add to the dry ingredients and mix well. Add the pineapple, with the liquid, nuts and bananas. Mix until well combined. 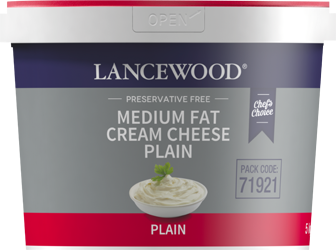 Spoon into 3 greased and lined 23 cm in diameter cake tins. Use the back of a spoon to spread out evenly. Bake in a preheated oven at 180◦C for 25 - 30 minutes, or until a skewer inserted comes out clean. Leave to cool in the pans before turning out. Cool completely before icing. Beat the butter and icing sugar together until pale yellow. Add the cream cheese and vanilla essence and mix well. Apply icing to the top of each of the 3 cakes and stack to form one large cake. Sprinkle with chopped nuts. Decorate with dried pineapple and banana chips (optional). 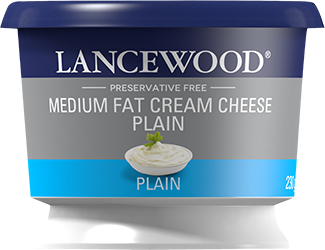 *OPTIONAL: Use 2 x 250 g LANCEWOOD® Full Fat Plain Cream Cheese (at room temperature) instead of LANCEWOOD® Medium Fat Plain Cream Cheese and add 45 – 60 ml cream.